If you’re looking for the best way to translate a PowerPoint presentation for a business or organization, you’re going to need to consider translation software. According to a thread on Microsoft Office’s help forum about how to translate a PowerPoint, you can only translate one text box on a slide at a time when you use their translation feature. Can you imagine what this would look like for translating a 40-page slideshow? Forget about those slides that contain multiple text boxes. This would take hours of manual work. This is why you need to consider translation software that specifically caters to business needs and offers the best way to translate a PowerPoint presentation. Working on behalf of an organization, you don’t have time to put aside your normal daily tasks to translate a document manually. This is tedious work that your manager likely has no idea will take hours out of your day. And it’s likely it’s not the first time you will be asked to produce a translated file. What you need is a tool that saves time, and in effect cuts costs for your organization. 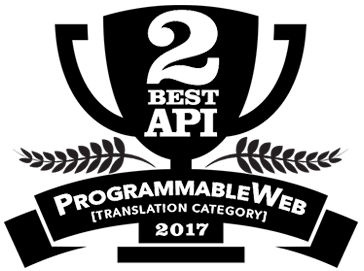 Below we discuss Pairaphrase, a web-based translation management system. Pairaphrase is the best way to translate a PowerPoint presentation, and we are about to tell you why. Pairaphrase is the best way to translate a PowerPoint presentation out of any other translation software on the market. This is because Pairaphrase is essentially a translation management system that is made specifically for business users like you. 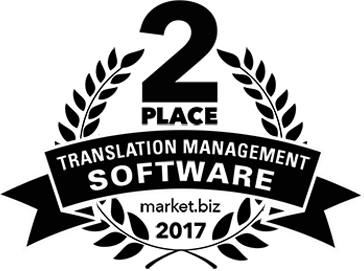 It’s specially engineered to give you access to quick translations and cost-reducing features that improve your translation quality over time. This is all without requiring you to spend time learning the software. The majority of Pairaphrase users are business people who need to translate bulky documents and files such as PowerPoint presentations. Pairaphrase is the fastest way to translate a PowerPoint presentation. It allows you to upload a PowerPoint file and receive a first draft translation of it within seconds or a couple minutes. Even text within the charts and diagrams you create within PowerPoint will be translated for you. Not only are all the PowerPoint slides translated for you in one go, but you also have the ability to translate other files or documents at the same time in a single batch. This is particularly useful for a group of files that are related to a single project (we’ll explain further in the Translation Memory section). File formatting preservation is another feature that makes Pairaphrase the best way to translate a PowerPoint presentation. When you run your PowerPoint file through online translation tools, many of them will lose the formatting of your document. Not Pairaphrase. When you use Pairaphrase, your image placement, line breaks, paragraph breaks and font properties are retained. This means that you save countless hours of work because you won’t need to reformat an entire PowerPoint presentation. One of the strongest arguments for Pairaphrase being the best way to translate a PowerPoint presentation is its use of Translation Memory technology. After you receive that quick first draft translation of your PowerPoint file from Pairaphrase, you can edit the translation segments within the Translation Editor to improve the translation. As you edit the file and save your changes, your text is stored in a bilingual central repository for future use as translation memories. Translation memories are terms and phrases that were previously either machine-translated and human-edited or human-translated and saved within the system. When you upload more documents for future translation work, the system separates your source text into segments and then searches for exact or fuzzy matches of those segments in your translation memories. The system will present the most closely-related phrase from your translation memories to be used as the translation. You can then accept or modify those “matches” to be used as the translation for a segment. As you save translations in your translation memories, you get more matches and the system continuously improves translation quality. This also significantly reduces your translation time and costs. It’s important to keep in mind that in order to reap the benefits of a translation memory system, human editing of machine translation or human translation is required. You might find yourself in a situation where you need to work with a subject matter expert on a particular translation project. Whether this person is a colleague within your organization or an external business partner, collaboration functionality is a must. Pairaphrase offers easy, real-time collaboration. You can quickly share translated files and invite colleagues into the platform to work on edits without needing to upgrade your plan. What’s more, you can even track user edit history by segment so there’s no second-guessing regarding whom changed what. Superior translation collaboration is another reason why Pairaphrase is the best way to translate a PowerPoint presentation. Data breaches are increasing exponentially, which makes data security non-negotiable when you are translating business documents such as PowerPoint presentations. Now that you know that Pairaphrase is the best way to translate a PowerPoint presentation, why not give it a try? Open an account and start translating faster and easier than ever before.